Ndabeni-Abrahams to launch 4IRSA and Digital Economy Summit - SABC News - Breaking news, special reports, world, business, sport coverage of all South African current events. Africa's news leader. Minister Stella Ndabeni-Abrahams will also unveil the Presidential Commission on 4IR at the launch. 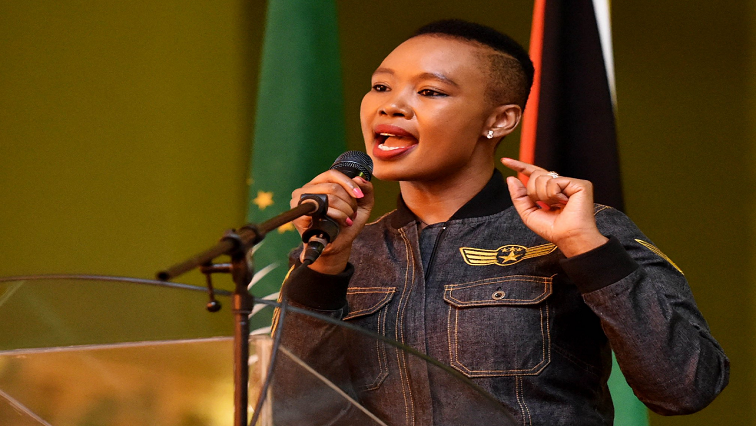 Minister of Communication, Stella Ndabeni-Abrahams will on Thursday officially launch the 4IRSA partnership and unveil plans towards the Digital Economy Summit at the Tshimologong Precinct in Braamfontein. The Department of Telecommunications and Postal Services collaborated with 4IRSA to host the inaugural Digital Economy Summit, which is expected to take place on 27 – 28 June 2019. 4IRSA is a partnership between Telkom and the Universities of Witwatersrand, Fort Hare and Johannesburg – that seeks to stimulate and facilitate an inclusive national dialogue. It also aims to complement and support other national activities relating to 4IR, most notably the Presidential Commission on 4IR. The Presidential Commission on 4IR will be introduced at the launch. This entry was posted on 10 Apr 2019,06:47PM at 6:47 PM and is filed under Sci-tech, News, Homepage Featured Story Slider. You can follow any responses to this entry through the RSS 2.0 feed. Both comments and pings are currently closed.